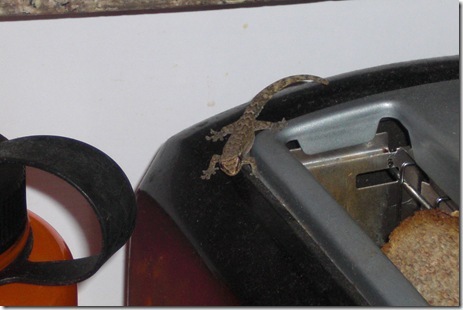 We’ve been entertained recently by a gecko that took up residence in our toaster. Once, I opened our kitchen cupboard and the thing jumped on my left arm. Spooked me silly. However, we’ve not seen ballerina in the last few days. We haven’t seen it since. 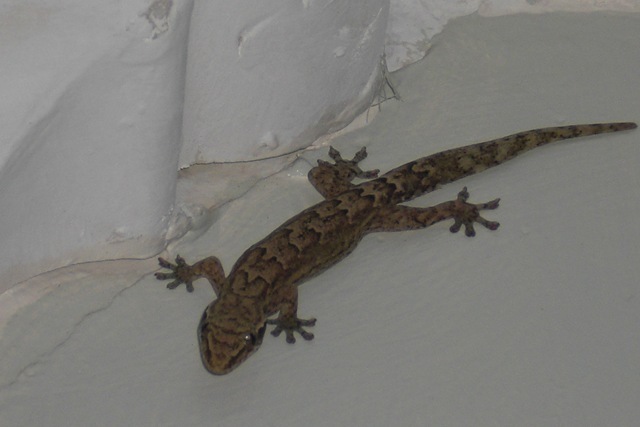 Watching a separated gecko spastically dancing on our counter provided great family entertainment. 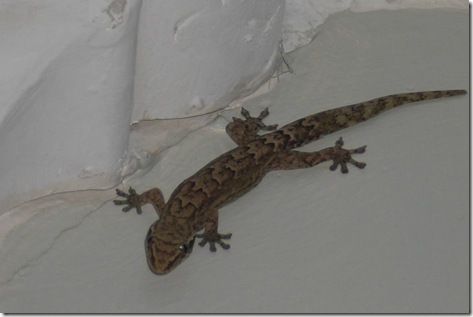 Here is our pet near some ceiling trim. “Our fundraiser for this weekend is not going to work. So wrapped the announcements at a service where I preached at a church in a suburb east of the city. They needed 20 chickens to prepare the food for a bake sale. They only had three. 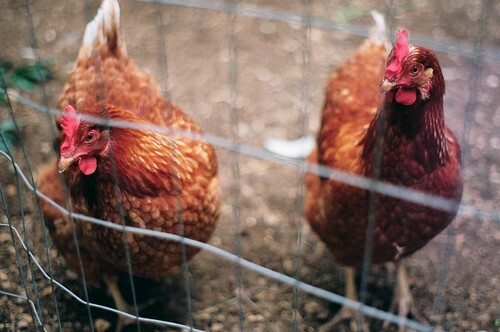 They were trying to generate funds with micro business, but couldn’t find enough chickens. They were going to use ground beef to make empanadas instead. Tamales are delicious, more filling, and can sell for a whole lot more at a lower product cost. But they had to settle for the pricier ground beef empanadas, cutting their profit margins really deep. 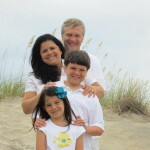 This was just one evidence of the visible poverty of where I preached in Mid-November. God did good stuff, the word went forth with power, but I came home almost emotionally wrecked. The apparent poverty made it an emotionally hard calling. Pictured below are the front and rear of the one room church. This area was just east of the city, a very densely packed suburb of single story dwellings (not the high rise density of the city). 45 churches, most under 100 members. Suggests that less 10% have been reached for Christ. About 30 minutes by crowded highway travel speeds, out near the airport. Many residents commute / from the city by public transportation. A horrible head on bus crash (by a speed drunk driver in an illegal and loaded dump truck) in October killed over 25 commuters. Pastor describes it as a red zone (very dangerous). Some of his members called it a hot zone (almost very dangerous). One or two were saying there is no problem, just pockets of activity. The street corner from the church is supposedly a gun fighting point between three gangs fighting for control. The stores that were open when we left had iron bars blocking the entrance– business was conducted passing goods and money through the iron bars. 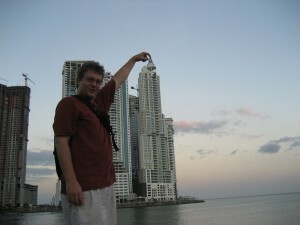 I’ve seen poverty as I’ve visited many places in Latin America. I also know that it’s more prevalent in other countries like Nicaragua (where I’ve seen things I wish I hadn’t), Cuba, and Haiti. But Thursday night was another real in-my-face encounter, not just images from a slide show on the internet. It stays with you for days, and makes you wonder, what can you really do? Training Pastors in Poor areas. This pastor leads a pastors association in the town. 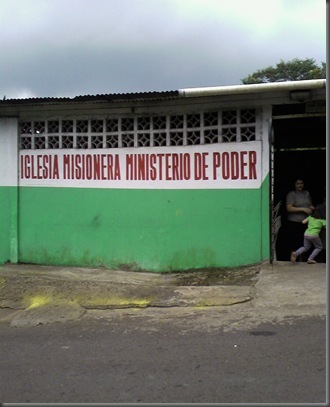 They want me to do an evangelism training for several of the pastors of the 45 churches working in this neighborhood. They want Brenda to do a training event too. They want to organize a campaign and a big event. I’ve always believed that effective evangelism will manifest the kingdom’s presence. Here is what I’m noodling on: What would that look like in this very impoverished area? How will I see what impact the training will make? 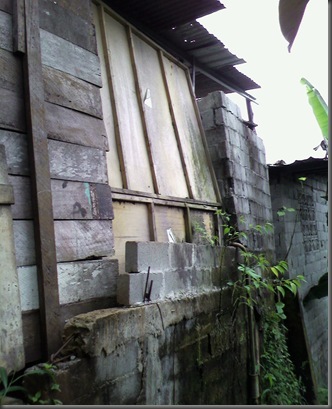 Our partners enable us to bring evangelism training to this impoverished area. Your ongoing support keeps us here to provide training for these pastors, even if there are not enough resources. Would you consider helping us fulfill this calling? Where can Bible Institutes Go? 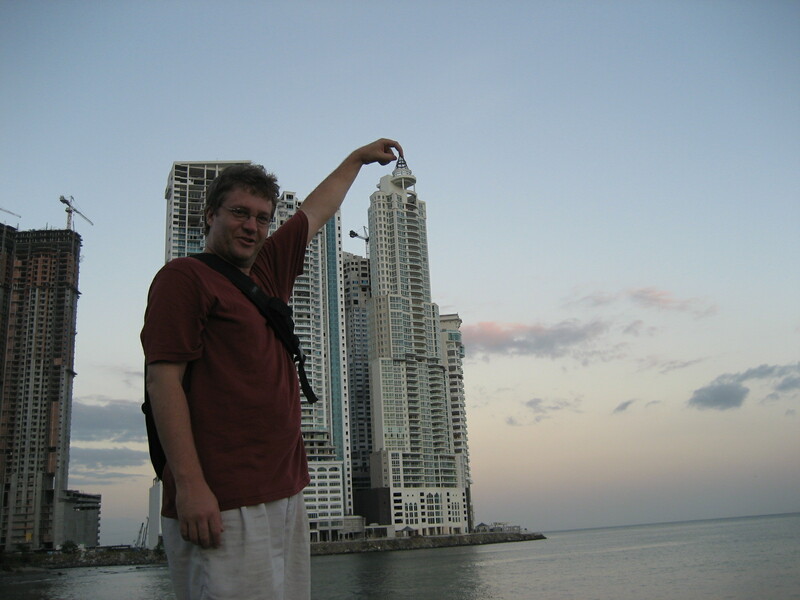 I travel back and forth frequently, and am often amazed to the point of incredulity with some of the questions my North American friends ask me. 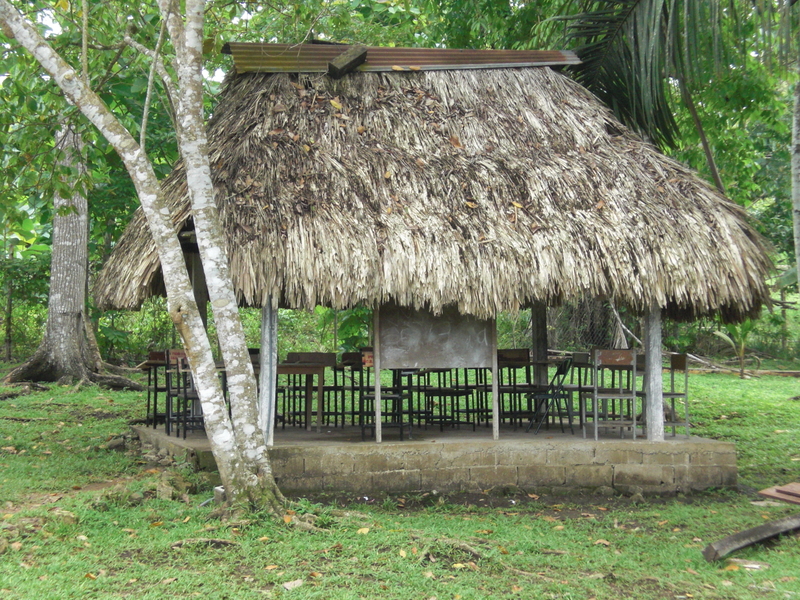 For those that perhaps have never traveled internationally, or don’t even know what a missionary does, the common perception is that we live in a thatch hut in the jungle with nearby indigenous peoples who don’t wear clothes. I have to show people photos of my city to show them that I live in a city like Miami, and yes I have indoor plumbing. I have taught in churches that do not have such plumbing. 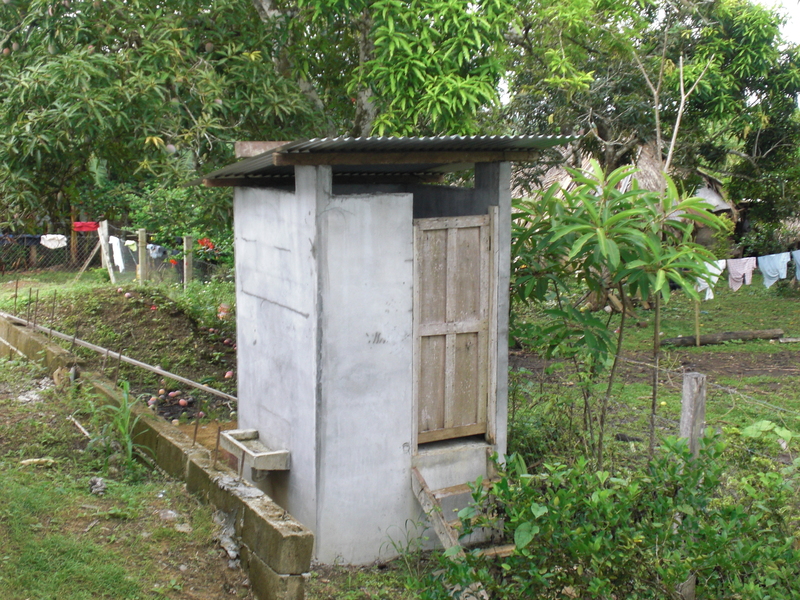 One doesn’t need to go to far outside the city to encounter indigenous tribes and the general need for indoor plumbing. My trip to the Darien province assured me of this. But sometimes, I’m caught with asking questions that stretch my worldview and my experience. 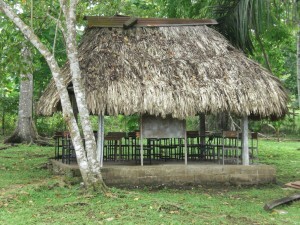 We wanted to take a Bible Institute course to a remote corner of this country, accessible only by plane. In planning the development of the Bible Institute, we had to ask the question of literacy, and knowledge of written and spoken Spanish. For those who work frontier missions, this may be a standard operating question. But this one was a new one for me. Yet it is one that needed to be ask. At the moment, we’ve put this development on hold. We are still in the interest gathering stage. We don’t know if it will materialize, but we’ll keep it in the hopper as the Lord permits.